Are you an LA Rams fan? 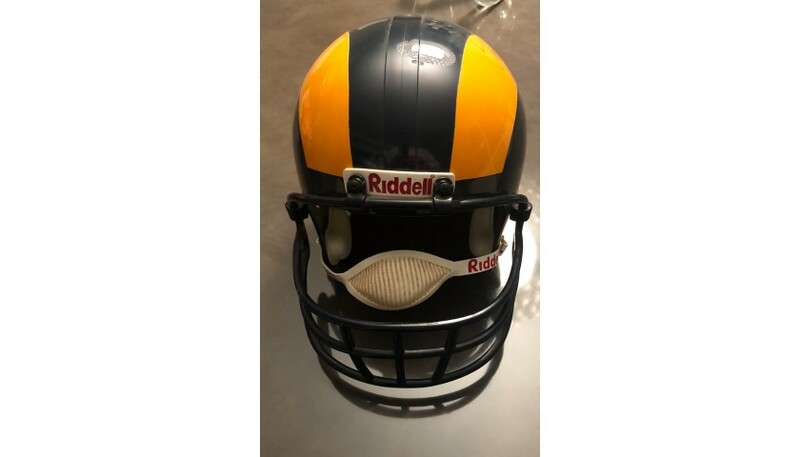 Here's your opportunity to win a replica helmet signed by the legendary Quarterback Roman Gabriel! 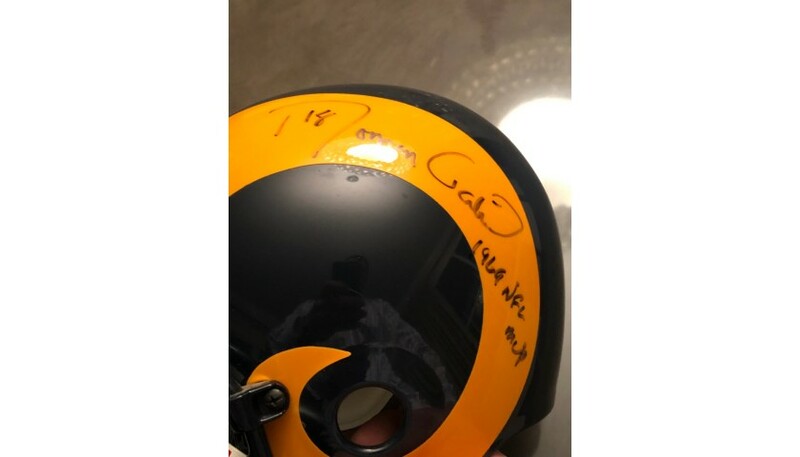 Roman Gabriel played 11 seasons for the LA Rams, from 1962 to '72. 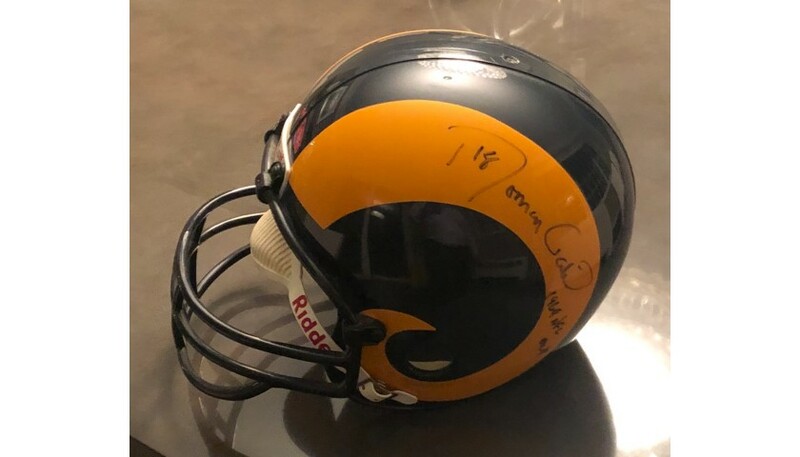 He was awarded the NFL Most Valuable Player Award in 1969 and earned Pro Bowl spots in 1967, 1968, 1969, and 1973. When he retired, Gabriel was ranked as the Rams' all-time passing leader with 22,223 yards and 154 touchdowns. He was named 1969's NFL Most Valuable Player and 1973's NFL Comeback Player of the Year. In 1977 he was one of just six quarterbacks to toss more than 200 career touchdown passes, according to Pro Football Reference. The minimum processing and handling charge for this item is $59.90.